Princess Nokia calls out Ariana Grande over the pop star’s new single "7 rings." Shortly, after the Trouble singer Ariana Grande dropped her new song "7 rings” post-midnight on Friday, Princess Nokia accused her of copying her lyrics. The New York City-based rapper Nokia (real name Destiny Nicole Frasqueri) posted a video on Instagram and Twitter of herself listening to snippets of Grande’s new tune and her own “Mine” track from her 1992 mixtape. The new song follows directly from ‘Thank U, Next’, and is accompanied by a video showcasing Ariana hanging out with a bevy of her closest friends at a lavish party. The brand new R&B track was heavily inspired by “My Favorite Things” from The Sound of Music and it speaks to Grande’s strong friendships and the new sense of independence following a difficult year which included the death of ex-boyfriend Mac Miller and her whirlwind failed romance with Pete Davidson. In the recent Q&A on Twitter, the singer explained how a trip to New York with six of her closest friends inspired the song. Moreover, the singer previously revealed via tweet that the song's title “7 Rings” is actually a ring each which belongs her best pals, Victoria Monet, Tayla Parx, Courtney Chipolone, Njozma, Alexa Luria and Kaydence, who were all featured in the music video. Prior to releasing the song on Friday, Grande gathered a majority of her friends together for a celebration, where they proudly showed off the sparkling jewels on their fingers. 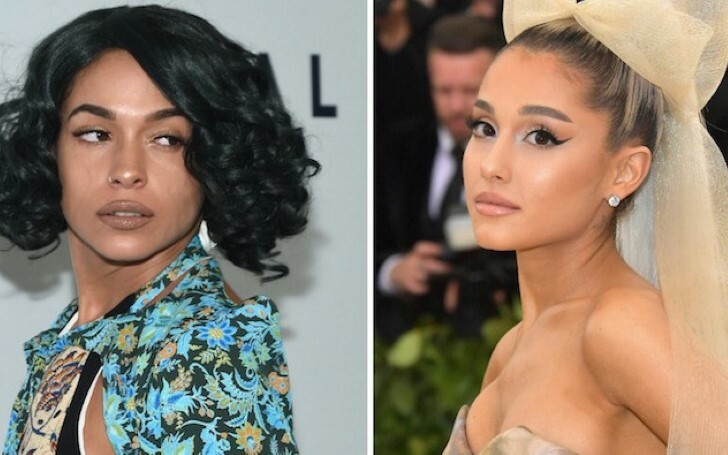 Despite the accusation from the Princess Nokia, Ariana Grande is yet to comment on Princess Nokia’s accusation, the singer, however, garnered a lot of praise for the song from her fans and fellow singer such as Zara Larsson.